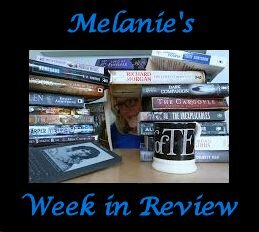 I was hoping to sucker punch you this week with a stupendous list of books I had read or even 'wow' you with some witty repartee in this post, however a few things got in the way. I have been on jury service for the last 2 weeks and I really thought I would race through a bunch of books. Unfortunately, I kept getting called to sit on cases so I had minimal time sitting around waiting and reading. My lack of witticisms in this post is down to fate who is a cruel mistress indeed. About a half hour ago my beautiful, glass ornament bedecked Christmas tree decided to fall over and 10 years of diligent collecting has ended up in tiny pieces of my living room floor. SOB! Anyway enough of my excuses. What did I read? 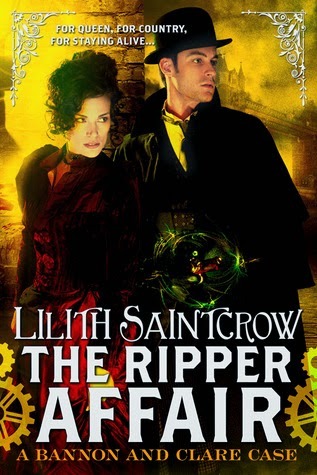 The Ripper Affair is the third (and possibly final?) book of the Bannon and Clare series. The story starts with a bang...literally as Clare's bodyguard and friend dies when the courtroom in which Clare is giving evidence is bombed. This leads Clare to discover the Emma did in book 2 to save his life. While Clare tries to come to terms with what Emma has done to him, women are being gruesomely murdered. Bannon has been asked by the Queen herself to solve the mystery and restore order. The pair team up to find the killer and not to get killed themselves in the process. Saintcrow's Bannon and Clare series hasn't been one of my favourites from this author and I largely kept reading them as I wanted to find out what Mikal's big secret was. Three books in and I still don't know. I have the feeling I should have figured it out by now but I am not entirely sure. I have mixed feelings about this book. On one hand I like how strong Bannon is and how much she cares about her friends. Clare is also an interesting character but comes across a bit like a Vulcan. In general I can only describe this novel as feeling a bit forced. From the alternative spelling of London place names to all the references of Seeing and Feeling made it a bit tedious to read. I've read that this is the last Bannon and Clare story for a while. I feel it is a good place to end the series. 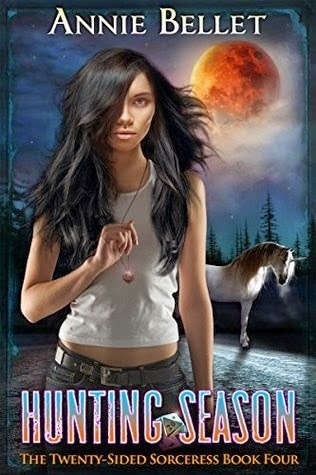 My second read of the week was Hunting Season by Annie Bellett. This is the fourth books of the Twenty-Sided Sorceress series. This instalment starts a few weeks after the end of book 3 and Jade is paying the price for her sorceressy secret being found out as the local witches coven have been cursing her. Things go from crappy to very crappy when a unicorn is almost killed in an attack by demon dogs. Just when Jade thought it couldn't get any worse two of the uber evil Samir's cohorts are in town and want Jade's heart. I have always found these books a quick read but this one is so short it is almost a short story. One minute I was at 2% and the next I was at 77%. It was over so quick I had to go back and check that I hadn't missed a few chapters. This instalment follows pretty much the same formula of the other books but there are a few more funny lines in this one even though the mood is quite dark. I am hoping that the semi cliff hanger at the end signals a change in the plot for future novels. If you are in the mood for a quick, easy on the brain read though this is the series for you. That is all for me this week folks. I have my fingers crossed for some reading productivity as a got some quite interesting eARCs approved on NetGalley. Until next week Happy Reading! I love unicorns. I will surely be checking out Annie's series!